Summertime in my family means BBQ! Now I know some people like to refer to BBQ as any food cooked on a grill, but we don’t consider hamburgers and hot dogs BBQ. Barbecue meat is cooked low and slow. My dad uses a smoker to make absolutely delicious ribs and beef brisket. The hubs and I were really wanting to make BBQ brisket sandwiches, but we don’t have a smoker. 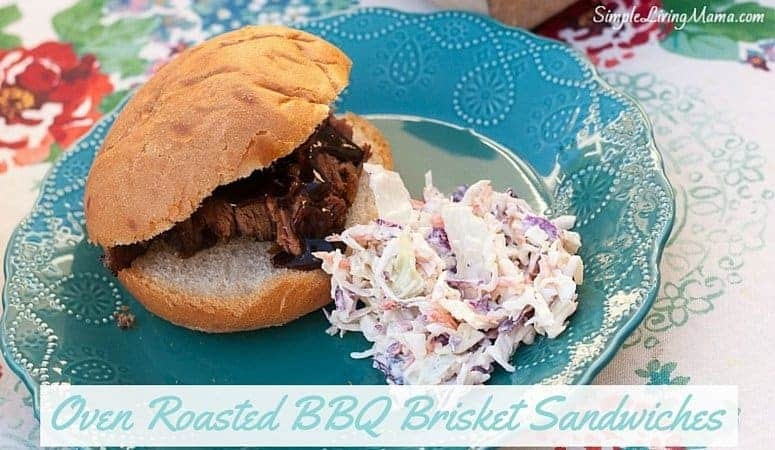 Did you know you can make a delicious brisket in the oven? I had to give it a try and the results were amazing! You’ll need to prep the brisket the night before. Rub it down with the KC Masterpiece® BBQ Sauce Mix & Dry Rub on both sides of the brisket. You may need to pat the brisket dry first so the rub will stick. Let it rest covered in the fridge overnight. The rub will help tenderize the meat and give it a great flavor. When you are ready to cook the brisket, bring it out of the fridge and let it rest for 30 minutes. 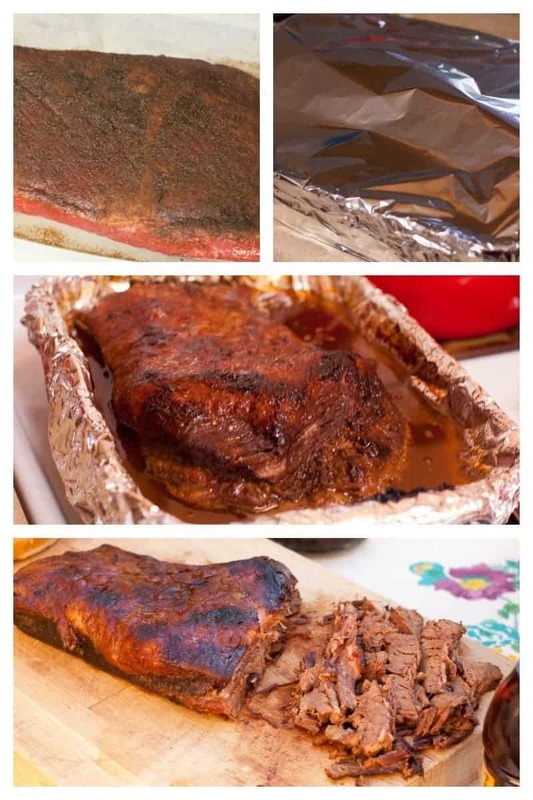 Preheat the oven to 300 degrees F. I covered a large baking dish in foil and placed my brisket in, fat side up and poured the Worcestershire Sauce over it. Then I completely covered the baking dish with foil. I baked my brisket for almost 5 hours. You generally need to cook the brisket for an hour per pound. When the brisket comes out of the oven, let it rest for 30 minutes before slicing it to let the juices redistribute. Ready to make the BBQ sauce? Click next! This looks absolutely delicious! I love brisket but it’s usually pretty intimidating, I love that you show it doesn’t have to be!